To foster such innovations which hold the potential of revolution, Oculus hosted the national level ‘Project Exhibition’, organized by IETE and FETS. Around 90 participants from different colleges delineated and demonstrated their projects and prototypes ranging from IoT to AI. The event witnessed the line-up of models solving daily life problems, saving drudgery, and way up to the products for sustainable development. The projects were judged by the panel of Dr. Surendra Singh Rathod (Dean Academics, SPIT), Mr. Bhavin Kamdar (Co-Founder of Embedos Engineering) and Prof Vijaya Kamble (EXTC Dept, SPIT). The team of Aakash Salunke, Ashley Samkutty and Trilok Sawant (St Francis Institute of Technology) grabbed the first prize for their ‘Project Blue’, a solar air-water purifier. The team was one of the most experienced participants, with 11 patents on their name. ‘Temperature controller using PLC and SCADA’ by Ajay Upadhyay and team (SPIT), and ‘Smart Irrigation System’ by Nirmal Attarde and team (Government Polytechnic, Mumbai) were awarded 1st and 2nd Runner-ups respectively. ‘Waterless portable toilet’ by Pratik Bhagat (NICMAR, Nasik) which was also demonstrated in Kumbh Mela won a special mention. In short, the Project Exhibition precisely showed how engineers turn tech, problems, and ideas into innovations. Problem-solving is a crucial skill that can only be imbibed through practice and Codatron was just the quintessential platform for the same. Put together by a very talented team of 8 SEs, together called ‘The Eight Bits’ this event consisted of 83 participants from all branches; it was an event for all. The participants were from colleges like VJTI, DJ, RJIT, etc along with our college. The first round comprised of 5 challenges with a 3-hour time limit with questions of varying levels of difficulty. This was only for the experienced seniors i.e. the SEs, TEs, and BEs. 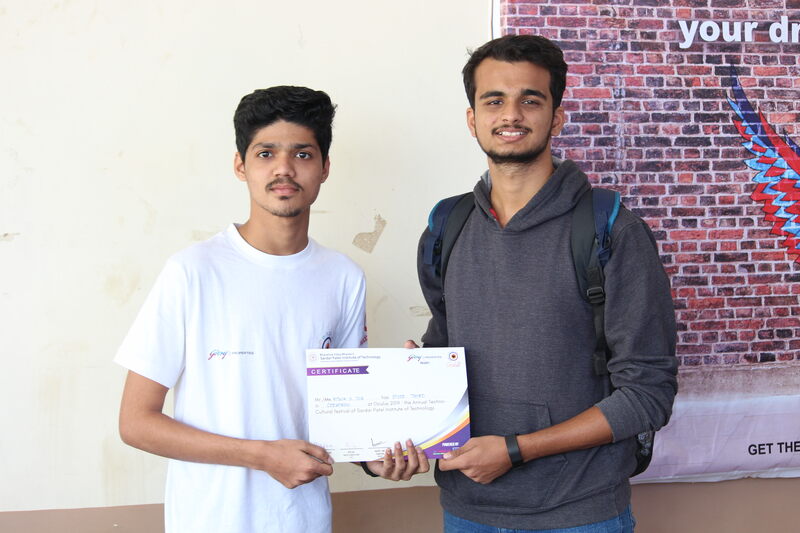 After three hours of intense coding, Abdullah Aslam from LR Tiwari COE bagged the 1st prize while Vivek Chauhan and Ritwik Jog from VJTI stood second and third respectively. The format for FEs was a little different. Comprising of a 2 hour-long online pre-event. Competitive coding was introduced to them in a more subtle manner. In the main event there were 3 rounds . The first round was one hour long comprised of 4 questions with varying difficulty levels. All the participants went to the second round. The second round was a bit more complicated and challenging. It had two parts to it; the first being an individual question for each participant, but the second part spiced it up where each contestant was assigned a random partner and the two joined forces to crack the code. The combined scores decided the top twelve competitors who went on to the next round. 1 hour and 2 questions later Sai Tarun Yellamraju proved to be the best though Shrestha Agarwal and Rudresh Veerkhare also gave a tough fight coming in at second and third position respectively. All three winners hail from SPIT. Rohit Pai from FE Computers, who was one of the participants says, “The problem statements were challenging but it was a fun experience trying to solve them. Overall it was a great experience for the FEs”. The winners were awarded prizes of 1 thousand rupees for the contestants at the third position, 2 thousand rupees for the contestants at the 2nd position, and a whopping 3 thousand rupees for the winners at the first position! Such is the case with the Rubik’s Cube. With over 43 quintillion permutations, it took even Ernö Rubik, the inventor, 30 days to come up with a solution for the regular 3×3 cube. 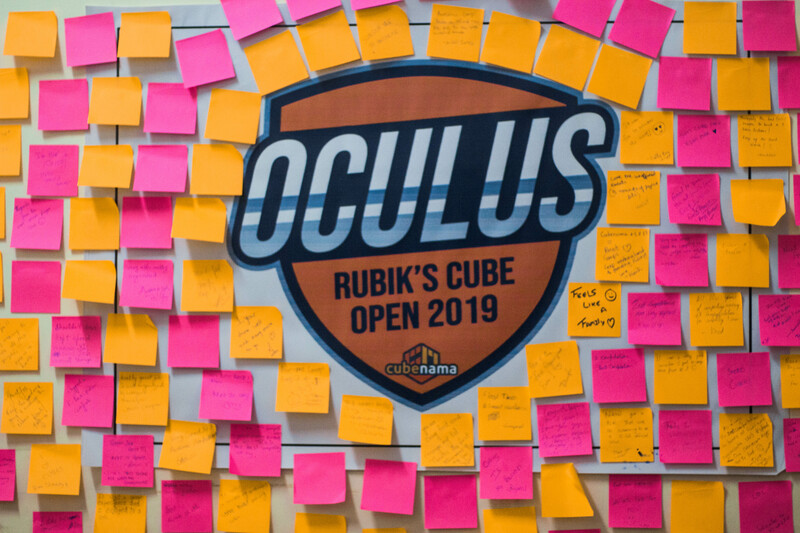 With a goal to bring together cubers throughout the community, Oculus hosted Oculus Cube Open, organized by Cubenama. The event saw 157 people from various colleges throughout the city gather at one place to Speedcube. The event included several categories like 2x2x2 to 7x7x7 cubes along with Pyraminx and Skewb. The other categories included solving the 3x3x3 cube with feet or with only one hand. Each category consisted of around 1 or 2 rounds followed by the semi-finals and the finals where the players were required to solve the cube 5 times in each round. The players with the best average time advanced to the next rounds and competed for the first place. The event also witnessed some continental and national records being set among various categories. 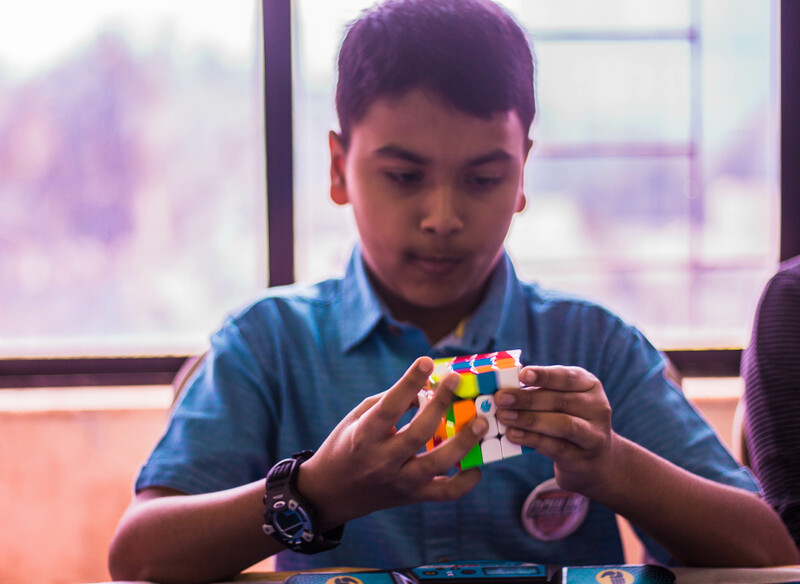 In the 2x2x2 category,the most noteworth records were created by Advay Sant who set a continental record with an average solve time of 1.31 seconds while Nikhil Soares set a national record with a best of 0.66 seconds. Mohammed Aiman Koli and Aniket Das both achieved national records in 3x3x3 with feet and Pyraminx category respectively. The first place in the 3x3x3 category was bagged by Nikhil Soares while Aamir Saifee won in the 4x4x4 category. 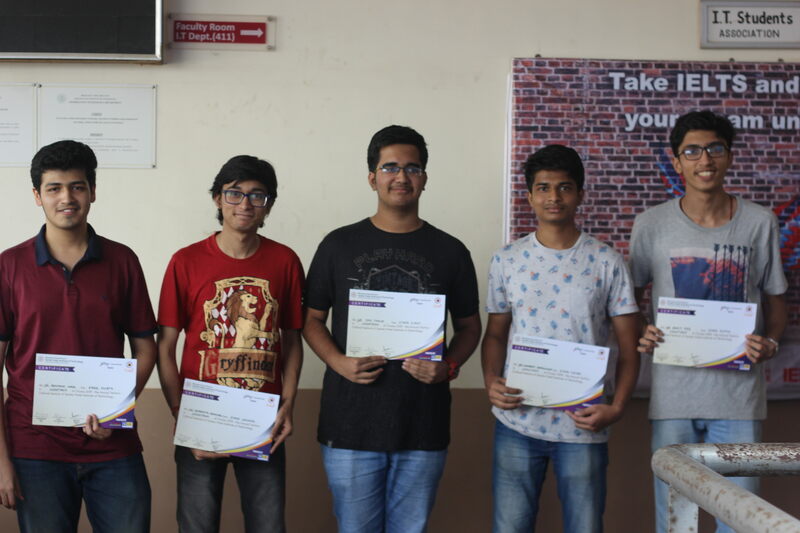 Aman Bhutani came first in both the 5x5x5 and 6x6x6 categories while Aarav Gandhi won the 7x7x7 competition. Bhargav Narasimhan and Aniket Das won the 3x3x3 with one hand and Skewb categories respectively. “This was our 5th event and also marked the one year anniversary of Cubenama. The participation was beyond belief which also helped us collect cubes and clothes for poor kids across the city. 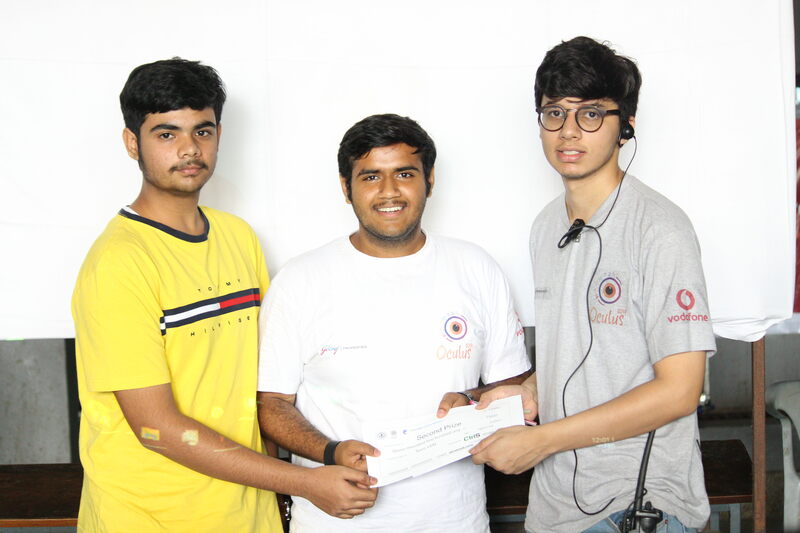 Team Oculus played a huge roll in the success of the event.” said Bhaktij Patil from Cubenama. 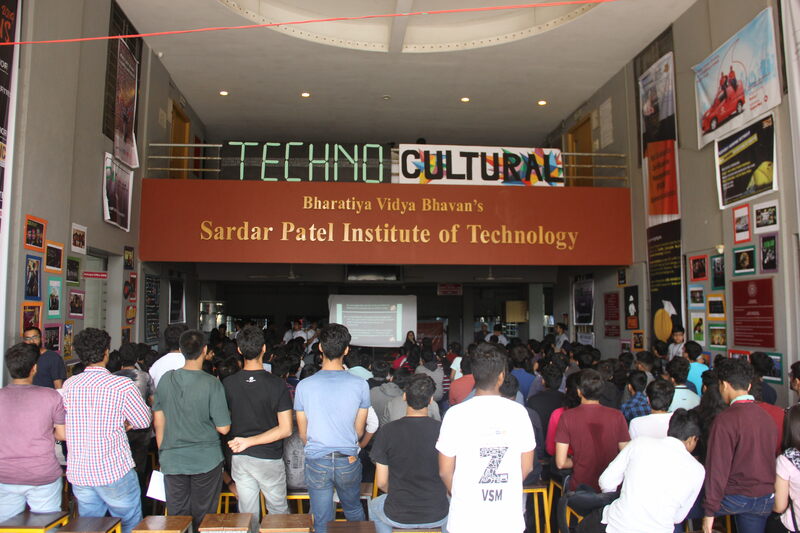 The biggest featured event of last year’s Matrix, Virtual Stock Market (VSM) returned with an even bigger stage this year at Sardar Patel Institute of Technology’s techno-cultural fest, Oculus held on 18th, 19th and 20th January 2019. The mega event which attracted a total of 392 participants over two days of the fest and the themes and the storyline was a huge hit among the “investors”. The event, designed to emulate a stock exchange system continued its tradition to teach the functioning of the stock market in an innovative way. A team of 9 second-year students continuously strived to make the event a smooth experience. 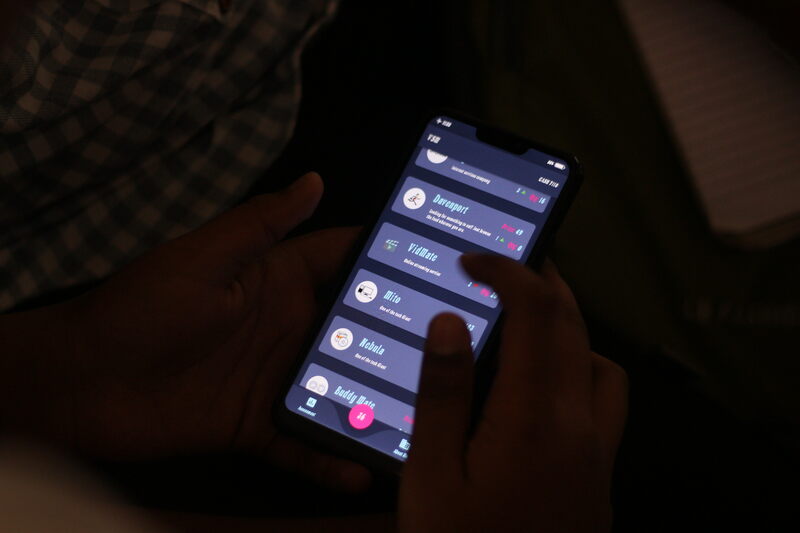 The stocks were transacted within a limited time per round using an app developed by the team themselves. The theme consisted of a timeline based story where the stocks were derived from fictional companies/entities following Oculus’ theme, GenZ. After every round, the team earning the maximum profits won goodies for themselves. This year, the event had a new twist with popular Bollywood numbers displayed at the end of each round. Lucky winners received multiple coupons and freebies. The jackpot on day 1 went to Sarika and Rohit from FE Comps who stood first, Ebrahim and Jainam, FE Comps, 2nd place and Yash & Deep who stood 3rd. On the second day, Darshan Biyani, SE ETRX won the first prize while Ishwar and Parth from SE Comps stood 2nd. Hrishikesh and Rajat stood at the 3rd place. The winners of day one, Sarika and Rohit commented, “It was a really exciting experience. A whopping 12.5k cash was awarded to the team who stood first. The 2nd and 3rd place teams got 7.5k and 5k cash respectively. Winners earned a total of 50k cash on both days along with vouchers worth 75k. The organizers at the end of the fest rejoiced at the resonating success of the event.